Hi, I’m Natalie (hi, Natalie!) and I have an addiction. Or, rather, my family has an addiction. I’m not proud to admit that we are addicted to screens, especially my kids. It’s not entirely a bad thing, because they’ve learned a lot from educational games and shows. But when I don’t see my kids’ eyeballs for an entire day, that’s where I draw the line. I needed a way to set some screen time limits for my family. 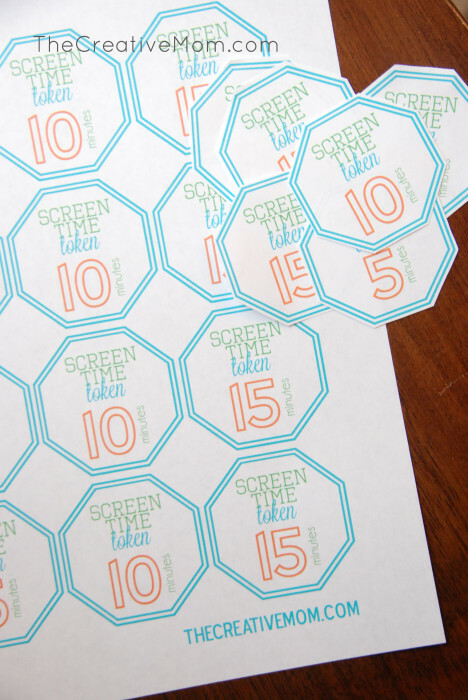 So I came up with this really fun and simple way to set screen time limits, and I’m excited to share it with you (and a free printable too!). 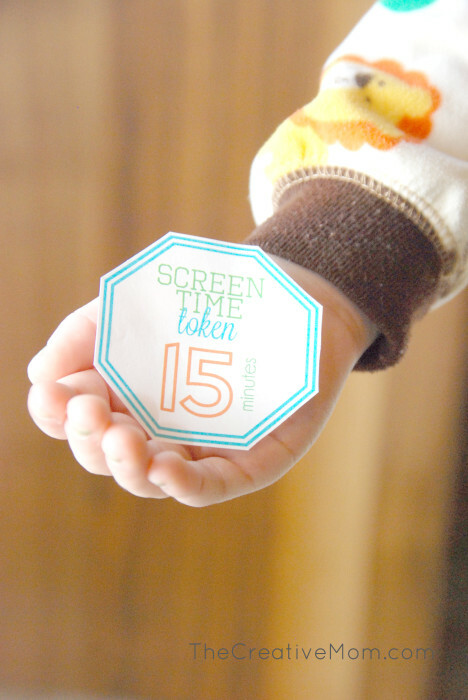 I came up with some screen time tokens that my kids can earn by doing simple things around the house. Every time they do chores, homework, or other good things, they can earn screen time tokens that they can save up, or spend immediately. And I have a little chart, so they know how many minutes they earn from different things. 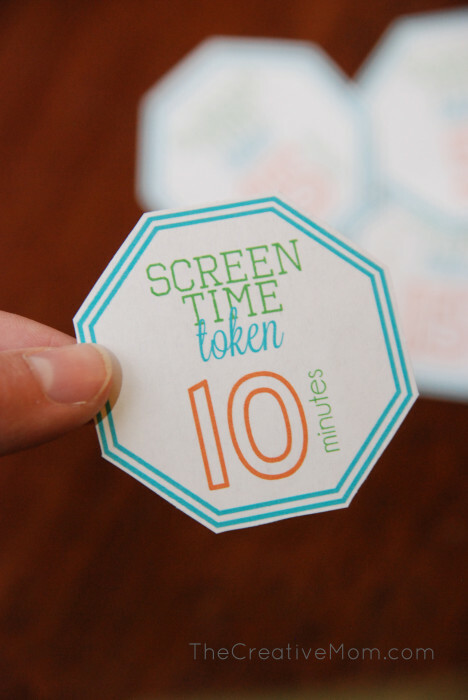 I love how motivating these screen time tokens are for my kids! Screen time motivates them like sticker charts used to. Now all I have to do is tell them they can earn a screen time token, and they’ll do anything! Sometimes I’ll even give them a screen time token if I see them doing something kind for someone else, or if they do something they haven’t been asked to do…. and I’ve noticed now that they are doing more random acts of kindness, hoping I’ll give them a screen time token. And the opposite is true too. I am happy to reward them with screen time tokens, but it’s also the first thing they lose as a punishment. And if they are punished and they don’t have any screen time tokens left, then they have to do the jobs to pay for their tokens. This system has worked wonders for my family. My kids are learning how to work for something they want, and they’re learning to be accountable for the good and bad things they do. Do you think this will work for your family too? So, I want to know… how do you limit your family’s “screen consumption”? Do you have a technique that works for your family? I love these tokens but I don’t see the chart. Was it taken down? Thanks. Love this! I got the token to print with no problem….but I don’t see the screen time chart. Is that available somewhere? Loved these printables, they should come in handy as the summer approaches. Thank you! Loved these – but as earlier comment the page is blank when printed??? we just started something similar to this about a month ago because I felt like i woke up one day and my kids were suddenly addicted to anything with a screen. 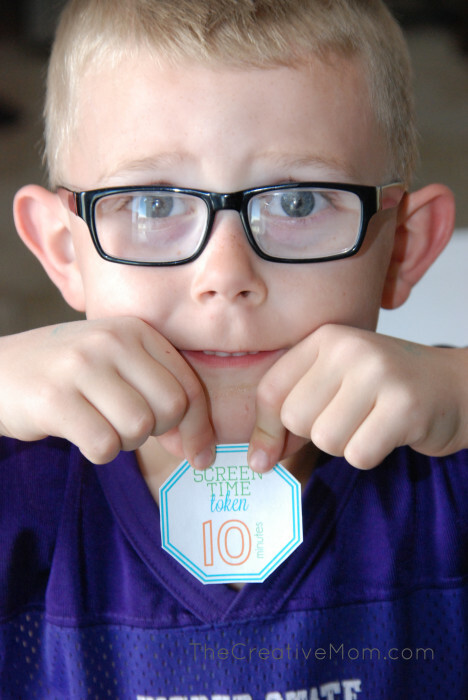 We have been using colored poker chips as our tokens, but I am thrilled to have stumbled on this free printable. Its perfect. Thank you thank you thank you. We also allow them to save their tokens and exchange for money if they would rather have cash over screen time. My son is all about the money, my girls have maxed their tokens out on electronics every chance they get. So far I have loved the system, but like anything a lot of it falls on the parents right now implementing and enforcing, which is not really my strong side. But I am determined to stick with it. Thanks again for the printable. Love it! Mandy, I love that you’ve already been using this method (and then some! 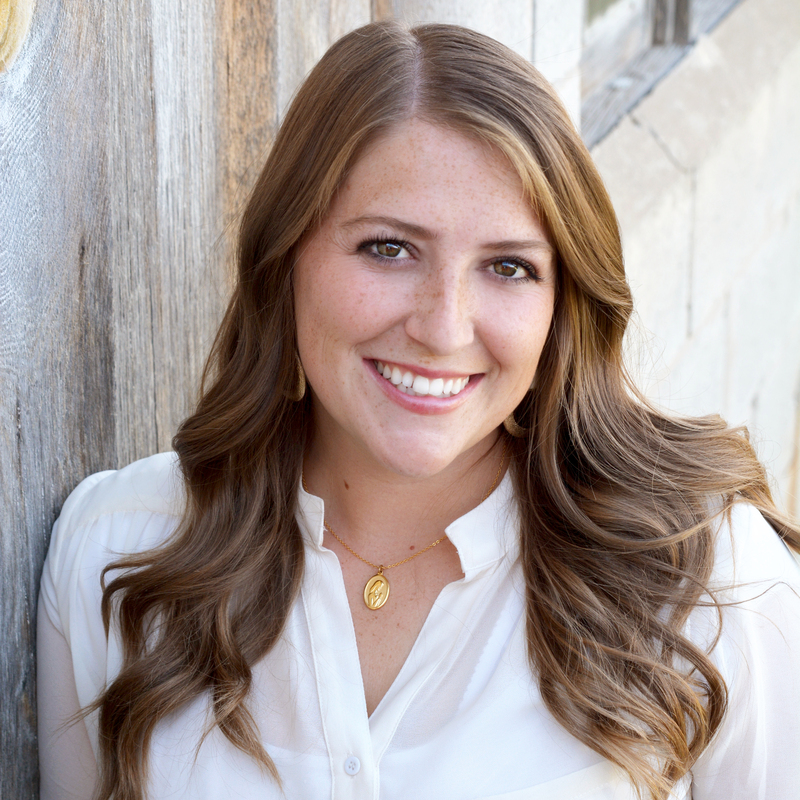 )… it gives me hope that it can work for my family. I’m totally going to steal your idea of letting them switch the tokens for cash. GENIUS!! !